Our school in Brisbane, Langports, is a 3 level tall modern building and one of the largest private campuses in the city. The school is located in the heart of Brisbane city, at only a 10 minute walk to the shopping district and close to Roma Street Station. The famous entertainment precinct “South Bank” is at only a 20 minute walk from the school campus. Taking part in this fantastic array of activities along with your English classes will undoubtedly make your time in Australia an unforgettable experience! The school has so-called UFO English courses, during which you will learn English at your own pace. UFO stands for USE, FOCUS, and OPTION. These are the three components of the daily timetable. You will study USE every day in the morning, the FOCUS macro-skill changes daily, and you will then have an OPTION class in the afternoon. The course is designed to provide different classes for each of your skills (grammar, writing, reading, listening & speaking), always at your level. On the first day, you will take a short language test (listening, reading, writing, speaking and for grammar), after which you'll be placed in the correct class. In addition, you will choose an OPTION class and LANGUAGE WORKSHOPS for the afternoons. The list of Options includes: Grammar, Vocabulary, Conversation, English for Business & Administration and more. The list of Workshops includes: English for Work in Australia, Aussie English, Exams techniques & tips, Extension English and more. Therefore, depending on your skills, you could potentially have six different classes and six different teachers every week. Every Monday, you will have an individual interview with your USE teacher to review your progress. If you develop your skills quickly, you can move through the levels at your own pace, optimising your learning progress. Minimum age is 16 years . Click on a price for an exact price quotation and/or to book. Surcharge host family with a private bathroom (=deluxe homestay): € 24 per week p.p on the price of host family with half board. Please indicate on the booking form if you wish to book this option. Se debe abonar un depósito de € 232 a la llegada con tarjeta de crédito (no se aceptan otros métodos de pago) Este depósito será reembolsable al final de la estancia siempre y cuando el alojamiento no presente desperfectos. Es necesario firmar un Residential Agreement de la escuela donde se exige que el estudiante se quede en el alojamiento durante todo el tiempo contratado. Transfer price valid for arrival at Brisbane Airport. If you arrive between 22:00 - 04:00 , a surcharge will be applied (€ 27 p.person). For under 18 year old students, an airport transfer service is obligatory upon both arrival and departure: € 153. Please contact us for extra conditions and fees in case a student visa is required. Teaching materials are not icnluded and cost € 12 per week. These will be included in the invoice. In 2019 the school is closed on: 01/01/2019, 28/01/2019, 19/04/2019, 22/04/2019, 25/04/2019, 06/05/2019, 14/08/2019, 07/10/2019 & 23/12/2019 - 27/12/2019. The school opens again on 30/12/2019. This course of 15 lessons per week (only for non-student visa holders) is more or less buildt op the same as the intensive course of 25 lessons per week, meaning students have lessons from Monday to Friday, from 09:00 am until -11:05 am, during which you'll practise the "Use of English", and from 11:25 am-12:25 pm when you'll attend the lessons about "Focus on language skills". Students who follow the Cambridge preparation programs (10 or 12 weeks) are students who wish to gain one of the world's most widely recognised English language qualifications with Australia's best-known provider. All FCE, CAE and CPE closed course students are required to take the exam and take part in the Cambridge Retreat (included in the prices). This 5 week course prepares you for the IELTS exam.The IELTS course is an intensive exam preparation program, focusing specifically on the academic version of the IELTS exam. The course has a strong focus on the writing component of the exam. A high level of IELTS requires a good range of vocabulary, collocation, grammar and writing skills has teachers who are extensively trained in grammar and under the L.A.W. (Langports Academic Way) they are also trained to teach beyond the textbook uses Langports’ own original materials, supplemented with traditional and online IELTS materials uses IT incorporated in lesson delivery has regular progress reports and feedback from teachers allows students to join the afternoon workshops. This program has been developed to improve not only the 4 macro-skills essential for the IELTS exam (listening, reading, speaking and writing) but also to provide an in-depth focus on the micro-skills such as reading techniques and strategies, spelling, grammar and speaking test strategies.You will need an intermediate level of English to do this course. The TOEIC course is a 5-week program, providing students with an intensive focus on grammar, vocabulary, collocation, reading and listening skills. Students are also provided with extensive TOEIC test practice and test taking skills and strategies. TOEIC is the world’s leading English test that assesses English language competency in a business context and is used by companies to determine English communication skills. This course focuses on more than just the exam; it also focuses on learning strategies and language development skills. 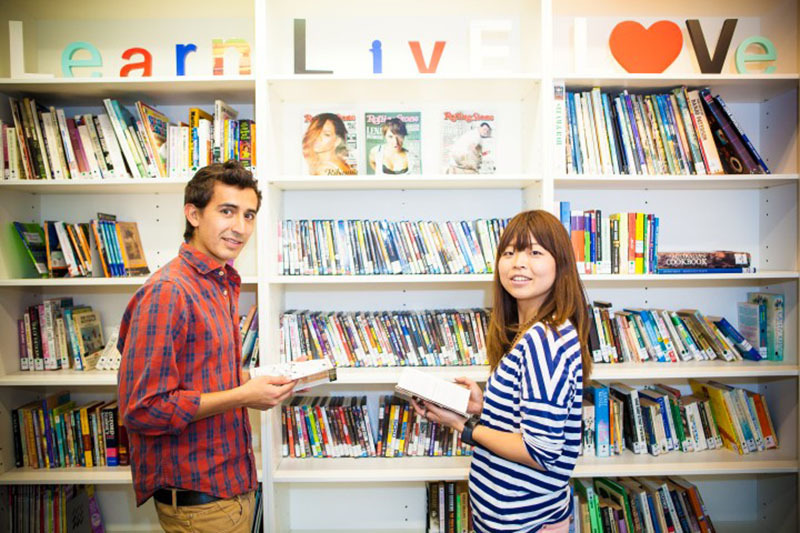 The TOEIC teachers are experienced and trained in exam taking tips and techniques and the school uses their own unique materials, supplemented with traditional TOEIC materials. Furthermore, the school Langports is a TOEIC Testing Centre and students interested in taking the TOEIC exam can register at reception directly. To be able to start this course (on set start dates) you need to take a Pre-test and have an entry level of at least Pre-intermediate. Individual tuition offers the most rapid, relevant and cost-effective form of language training. To maximise success, you are requested to complete a detailed needs analysis questionnaire prior to arrival. This helps the school to include your individual needs and objectives when designing your one-to-one course. Your tutors can focus on general English or on the language skill you require for your profession or studies. In case you wish to book more than 10 lessons per week, please contact us for a tailor-made quote. Staying with a host family is a great way to experience the Australian culture! You’ll stay in a single room based on self-catering (which includes breakfast on weekdays) or half board option (when selecting half board you will have more interaction time with the family). All Homestay families are carefully selected upon criteria such as cleanliness and tidiness of the house, easy access by public transport and their interest in learning about our students’ cultures and habits. You'll have your own room with a desk, chair, wardrobe and comfortable bed, but share the bathroom with the host/family. Host families are located at approx. 30-50 minute traveling time to the school (by train, bus or ferry). Under 18 students should be home from school no later than 7pm between Sunday and Thursday or 10pm Friday and Saturday nights. Any nights spent away from the host family must have prior permission of the Accommodation and Welfare Officer who in turn will obtain parental consent. The residence refers to the “Student Village Apartments”, located in just a 10-minute bus ride from the City Centre, right in the heart of a University Village. Whe you stay in this accommodation, you’ll have a fully furnished single room with shared bathroom in a 5-bedroom apartment. Furthermore, there is unlimited internet, a student lounge, BBQ’s and outdoor spaces & games room, a free gym, bike storage area and 24×7 on-site laundry machines (usage charges apply). The residence has 24-hour onsite staff presence. You’ll find many shops, restaurants, cafes and bars only a couple of minutes away from the residence. "I had the best summer ever!"